Salad from a rooftop? Tomatoes grown in a warehouse? Microgreens in a freight car? Welcome to the new world of indoor agriculture. Herbs, leafy greens, and vegetables grown indoors bring farms to an urban environment and help reshape the food supply chain. Let’s take a look! Indoor agriculture is no longer just for the greenhouse…”farmland” is now on a rooftop, contained in a repurposed shipping container, and made vertical in a multi-level warehouse. Because of new technologies and consumer demand, this fast-growing industry will play an important role in our food supply chain. 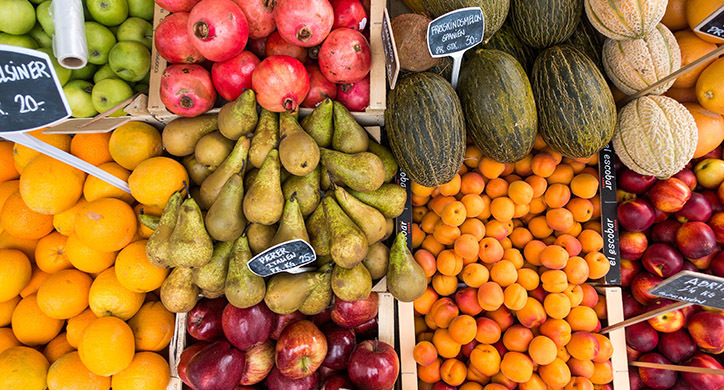 As consumers, we are looking for transparency in the food supply chain. Where is our food coming from? Is it safe? How was it grown? 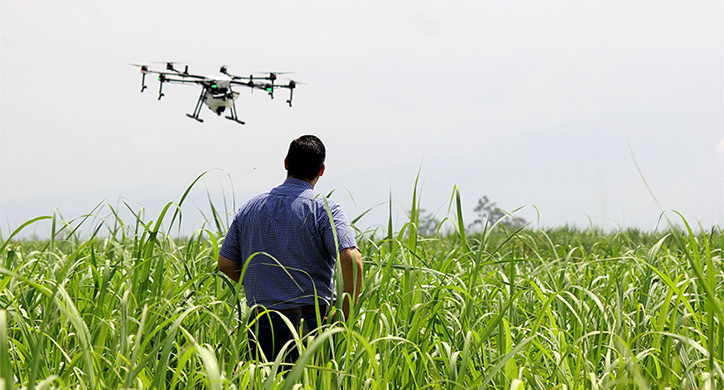 New farming technologies help answer that for fresh greens, herbs, and some veggies, which can be grown almost anywhere. For instance, 90% of the salad greens we eat are produced in California and Arizona. However, companies like Gotham Greens and BrightFarms let urban dwellers buy locally-grown greens as soon as 24 hours after harvest. That certainly has a lot of appeal! 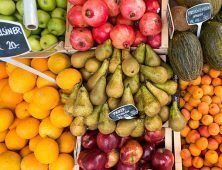 It is more nutritious, tastes better, and can be cheaper as it cuts out much of the transportation costs. Amid projections that the world’s population will grow from today’s 7.5 billion to 9.6 billion by 2050, the environmental pressures on our water, soil, and land are increasing. 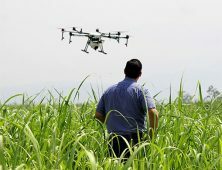 Alternative forms of agriculture offer another way to alleviate some of these stresses, especially in urban areas where adequate farmland is limited. Creating “farmland” from unused space is in the future. 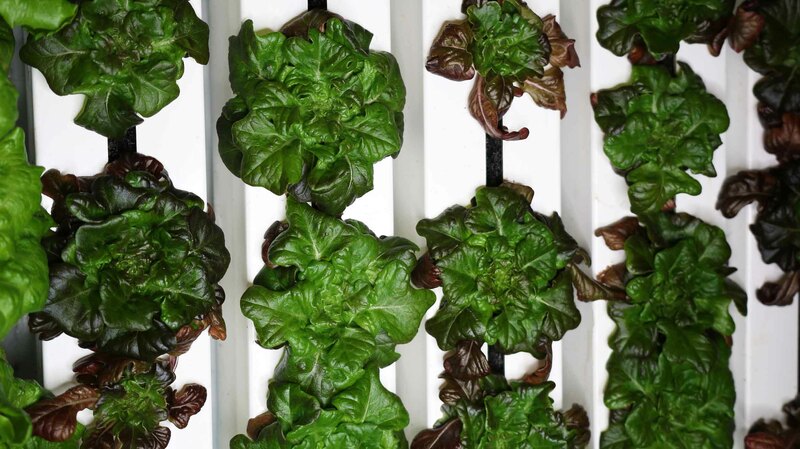 High-tech growers use hydroponics, aeroponics, and aquaponics methods to grow leafy greens and vegetables. Large metropolitan cities, like Chicago and New York, and cold regions with limited growing seasons, like Northern Minnesota and Wyoming, have the ability to grow local crops all year round via indoor “farmland”. A recent report from Cornell University and several other organizations found that revenue could be up to 4000x higher in indoor farming systems because of the ability for multiple year-round harvests, higher yield per acre and higher retail pricing (a premium for local or organic). For example, lettuce grown by a conventional farmer will have 4-5 harvests each year, whereas an indoor farmer can have as many as 18 harvests per year. According to the USDA, the average yield for an outdoor farmer was about 30,000 pounds per acre and indoor farmers reported an average of 340,000 pounds per acre. In addition to this increase in productivity, indoor farming practices also significantly reduce the environmental impact compared to that of a traditional farm. Indoor farms reduce greenhouse gas emissions, minimize waste, and recycle water to produce the best, most sustainable crop. On average, they use 85% less water, 80% less fertilizer, 70% less land than conventional farming. In addition, these companies utilize sophisticated technologies to improve facility construction, LED lighting, water circulation, plant nutrient delivery, and environmental controls. 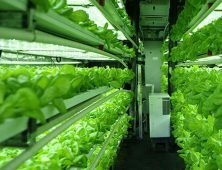 Because of these advancements, hydroponic, aeroponic, and aquaponic farming systems are quickly moving from the realm of “experimental technology” to verified commercial applications. Researchers and growers alike have turned indoor systems into working models of sustainable food production. According to the report “Vertical Farming Market”, the market is estimated to reach $3.88 billion by 2020, at a compounded annual growth rate of 30.7% between 2015 and 2020. The factors driving the vertical farming market include the need for high-quality food without pesticides, less dependency on weather, produce availability for an increasingly urban population, and the need for year-round production. Hydroponic farming is a method of growing plants in water, without soil. Plants are fed minerals and nutrients directly in the water where the roots grow. This is particularly good for greens and vegetables. 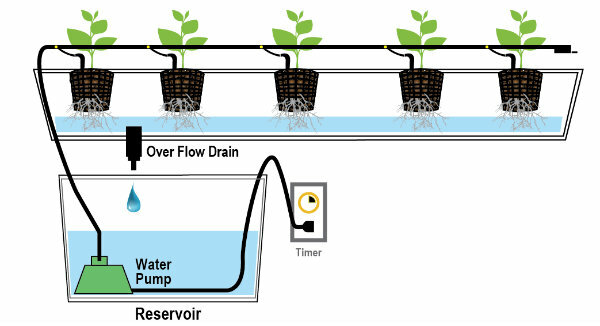 Simple hydroponics: Nutrients are added to a tank of water to create a nutrient reservoir which is kept separate from the plants. The water is then pumped up a network of tubes, and released to the plants. 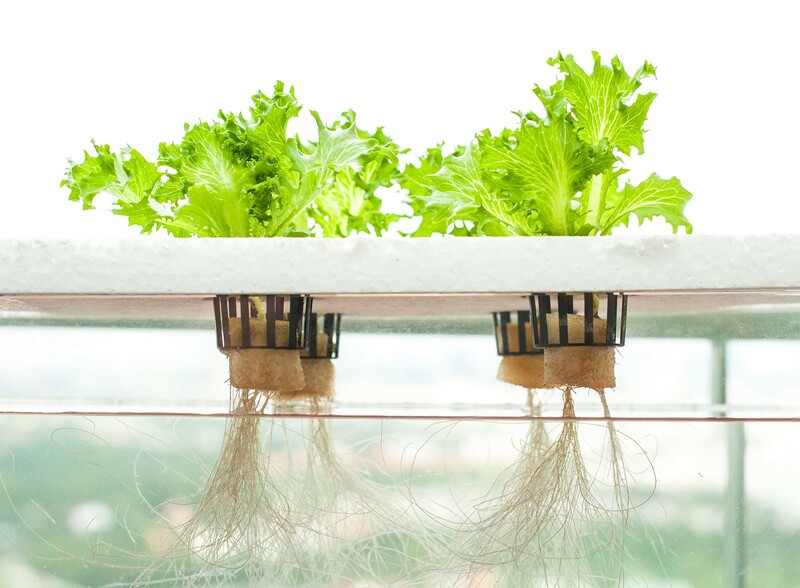 Aeroponics is a subset of hydroponics, but instead of the minerals and nutrients circulating within the root chamber, it is misted to the roots at regular intervals. NASA began studying the feasibility of plants grown aeroponically in 1990 as a way to have crew members grow their own food while circling Earth. 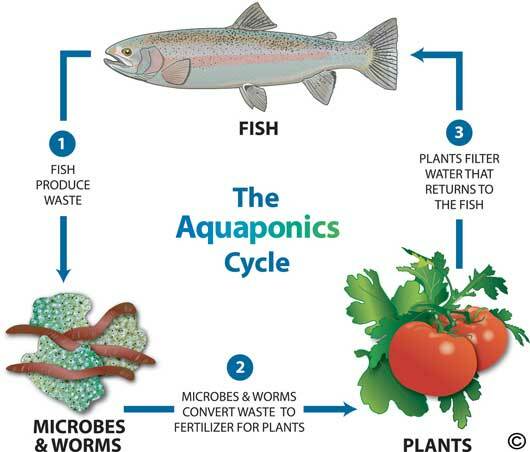 Aquaponics works on the basic idea of a closed production system. Farmed fish produce waste that is the perfect fertilizer for plants. Plants utilize the waste and filter the water to give the fish a clean habitat. The Aztecs grew a wide variety of crops such as maize, squash, and other plants in tandem with rearing fish for food. And as early as the 6th century, Chinese farmers reared ducks, finfish, and catfish in a symbiotic cycle: the finfish were fed with duck droppings, the catfish were fed with the finfish waste, and any “leftover food” was used to supply the nutrients to the rice in the paddy fields. Where Do These ’Ponics Live? Freight Farms, based in Boston, uses the “Leafy Green Machine” (LGM), to harvest year-round in any region of the U.S. 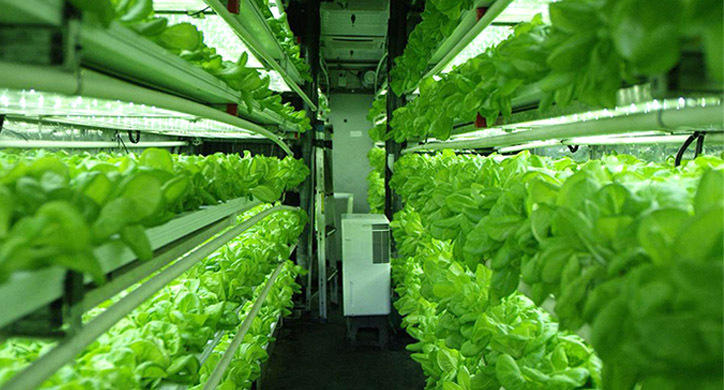 The LGM is a pre-assembled hydroponic farm inside an up-cycled freight container. The hydroponic system automatically delivers precise water and nutrients for maximum crop development and uses LED lights optimized for each stage of the growing cycle. Vertical growing towers maximize space and create a high-density growing environment. Alaska’s Vertical Harvest Hydroponics also uses repurposed shipping containers to grow fresh greens in the most inhospitable environments. What makes shipping containers unique is that they are transportable, can fit in small spaces, and can withstand extreme temperatures without affecting the crop. The modular tower system from ZipFarms is adaptable to a hydroponic or aquaponic system and can be utilized by commercial growers and backyard growers alike. 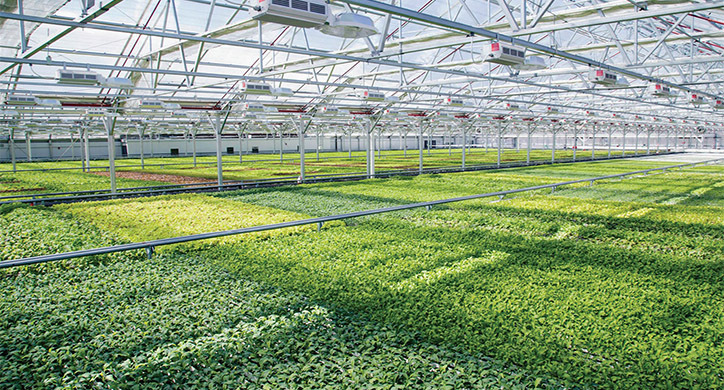 Gotham Greens has built and operated over 170,000 square feet of technologically-advanced, urban rooftop greenhouses across four facilities in New York City and Chicago. They have partnered with Whole Foods and have built their greenhouses in strategic urban areas to distribute fresh produce within 24 hours of picking to retail operations. And their annual produce production? 200,000 pounds! Equivalent to 100 acres of conventional field farming. Bright Farms and Mighty Vine are further examples of high tech agriculture companies innovating and developing ways to grow indoors. BrightFarms finances, designs, and operates greenhouse farms at or near supermarkets, cutting time, distance, and cost from the produce supply chain. They operate three on-the-ground greenhouses in the greater Philadelphia, Washington D.C. and Chicago metro areas. MightyVine, based in Chicago, grows tomatoes all year round in sophisticated greenhouses using vertical growing methods, which produce 900,000 lbs of tomatoes per month in peak season! New Jersey-based vertical farming company, AeroFarms approaches food production with aeroponics to mist the roots of greens with nutrients, water, and oxygen. The company asserts that its closed loop aeroponic system uses 95% less water than field farming, 40% less than hydroponics, and zero pesticides. 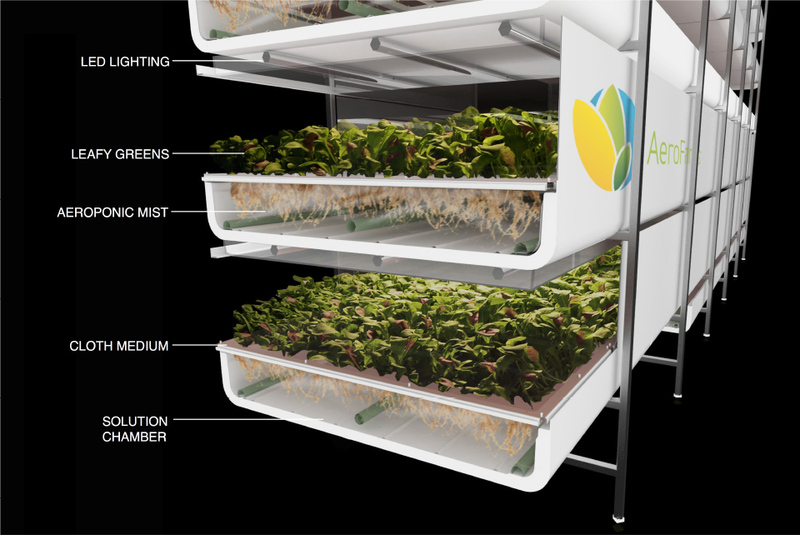 Their growing technology is very modular and can be adapted to different repurposed industrial spaces. And they harvest up to 2 million pounds per year with this system. While no one expects that urban agriculture will never replace traditional farming, it relieves some of the pressure off rural land and satisfies some of the demands for local and sustainable agriculture. Additionally, Green Sense Farms, from Indiana, harvests 26 times a year and since it has teamed up with grocery stores, restaurants, caterers and produce companies. Advancements in indoor growing technologies are transforming previously ungrowable areas into spaces where local food can be harvested at all times of the year. Indoor vertical farms are viewed as a potential solution for the growing population around the world. If you live in an urban city, look for your local farm!